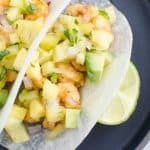 Chipotle Shrimp Jicama Tacos with Pineapple Salsa – low carb shrimp tacos that will get rid of any shrimp taco craving! Only 8 calories in the jicama tortilla! 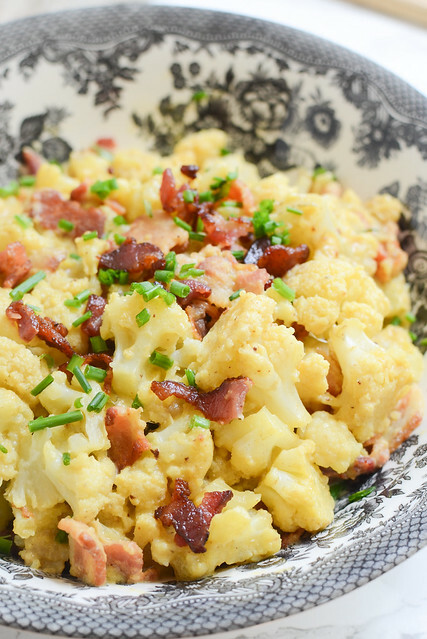 Paleo and delicious! 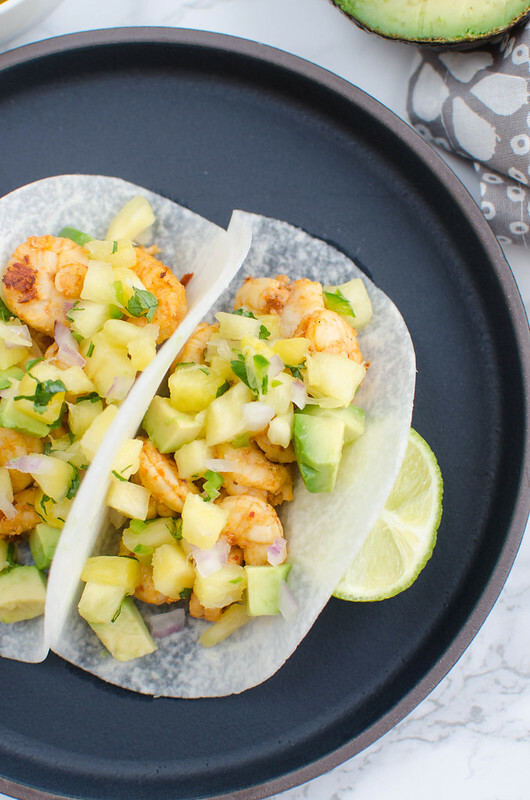 I’m having a major moment with these tacos right now. My BFF Nicole blogged this recipe forever ago and I never really paid them any attention because jicama? I was scheduling some shares the other day and asked her for some paleo/whole 30 recipes to share and she sent me this one and I couldn’t stop thinking about them. 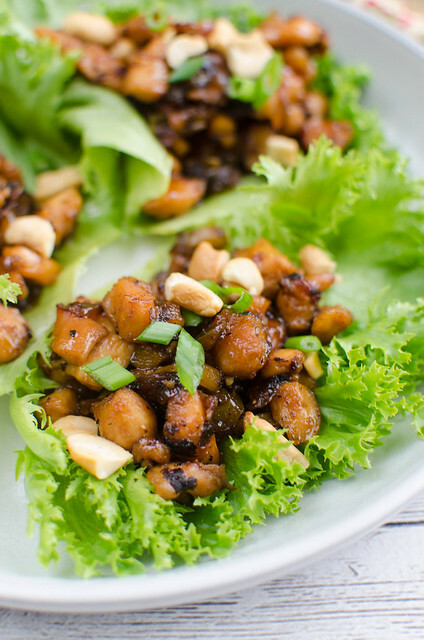 I’ve been really into putting thinly sliced pickled daikon radish in my lettuce wraps (Why? 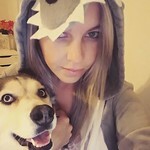 Nobody knows.) and the jicama reminded me of that so I literally went to the grocery store at 7 am the next morning for ingredients. If you are lucky enough to live near an HEB, they have already thinly sliced jicama “tortillas” in the produce section. This was my first time buying them and I think they are genius. Okay, so maybe don’t go make a super meaty taco covered in sour cream and cheese and wrap it in a jicama tortilla. I don’t think that would be that great. Or maybe it would and I’m wrong. 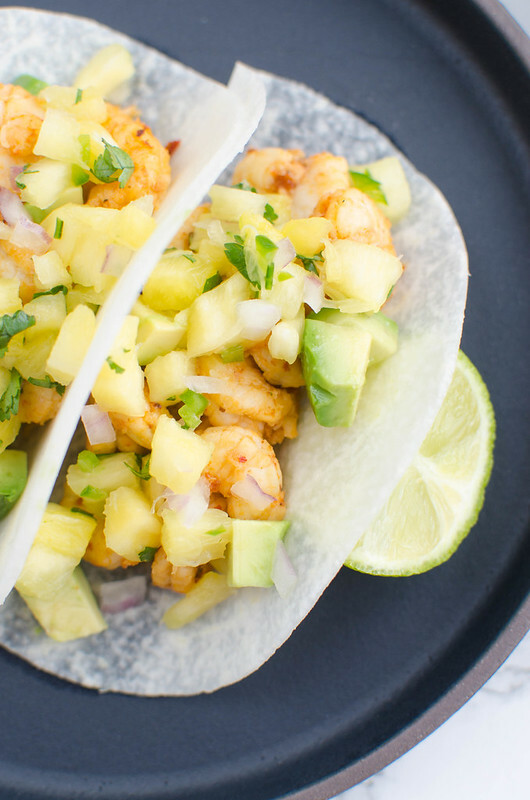 But for something light and fresh like shrimp with a pineapple salsa? It was perfect! They’re crisp and hardly taste like anything and the best part is that they’re 8 calories each. We’re not gonna talk about how many of these I had. It’s like when I make lettuce wraps and can justify eating the entire batch because the lettuce doesn’t actually count. Nevermind the fact that I use almost an entire pound of chicken thighs. If you don’t have an HEB or other grocery store that sells sliced jicama, just get a big one (check an Asian market if you can’t find any) and slice it as thin as possible. Maybe with a mandoline if you’ve got one. 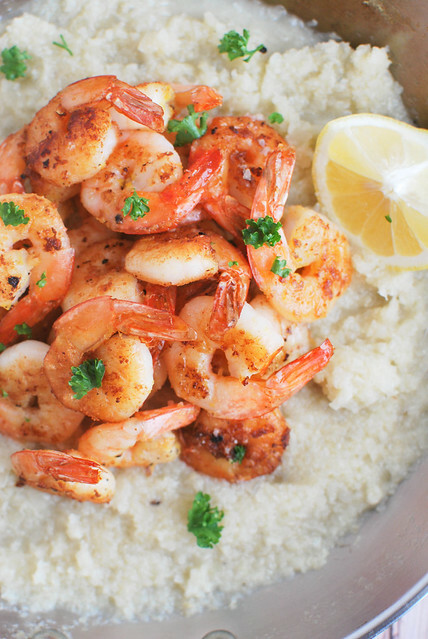 Shrimp is one of my favorite, healthy proteins because it cooks up so fast. Unfortunately, most of the shrimp is frozen in central Texas so it’s not always the prettiest but still delicious. I got the shrimp marinating and then by the time I was done making the salsa and chopping up the avocado, it was ready to be cooked up. It cooks for 2 minutes on each side and then you’re ready to make tacos. This was probably my favorite thing I’ve made so far this year and I’ll deifnitely be making it again and even trying out some other shrimp marinades. It really satisfied that shrimp taco craving without making me feel bad about eating 7 shrimp tacos. Let me know if you’ve tried jicama as “tortillas” or if your local grocery store sells them! 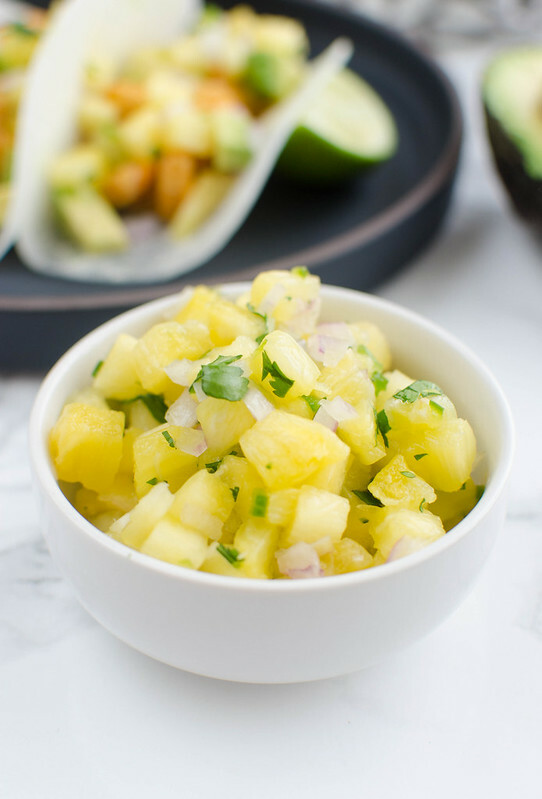 To make the pineapple salsa, stir together all ingredients and store in the fridge until ready to serve. In a mixing bowl, whisk together minced adobo, adobo sauce, pineapple juice, lime juice, cumin, salt, and pepper. Add shrimp and toss to coat. Refrierate for 30 minutes. Heat oil over medium-high heat. Add shrimp, shaking off excess marinade, to the hot pan and cook about 2 minutes on each side, until pink and curled and cooked through. 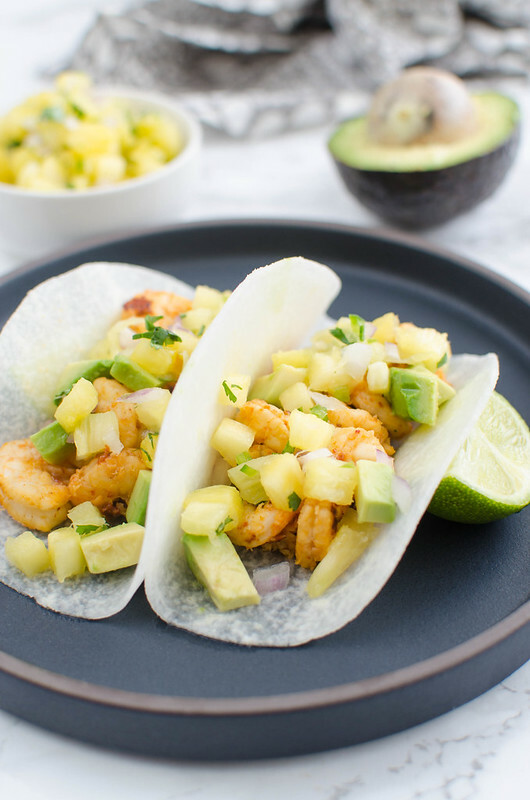 To assemble the tacos, layer shrimp, pineapple salsa, avocado, and cilantro on the jicama tortillas. Serve immediately.